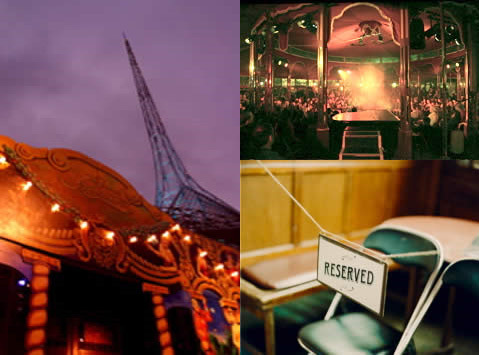 Have you seen The Famous Spiegeltent at Hyde Park, part of The Sydney Festival 2011? Built in Belgium in 1920, it's a fantastic antique "European Mirror Tent"; one of only a handful left in the world. Inside the circular tent it's all cosy saloon seating around a circular central dance floor and stage. 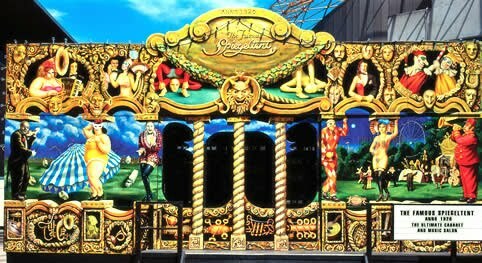 The spiegeltent just seems custom-designed for cabaret, circus, and burlesque. It reminds me a lot of the venue for Teatro ZinZanni that we saw in San Francisco (oh look - that was a spiegeltent too!). It was a thrill to step inside and feel the vibrations of countless shows and late nights from all over the world. I highly, highly, highly recommend getting along to a Lah Lah's Big Live Band performance if you can (there is a show in June 2011 at the Sydney Opera House for years K-6) - they are fun to watch, energetic, the music is brilliant and the kids adored it. Ah, Sydney in summer!